Spacious, Laguna Beach lakefront house, less than one minute to the beach! This 3 bedroom, 31/2 bath home has a full bath in both full bedrooms and in the kid's bunkroom. An additional bonus room is perfect for media and games, or an extra sleeping space. Luxury finishes include stainless steel appliances, custom tile backsplash and granite countertops in the kitchen, white and glass tile in the baths, exposed beams over head, and wood-look tile on the floors. Open floor plan allows plenty of natural light from every window. Enjoy lake views from the living room or step out to the private deck for views and sun. The fenced yard has additional storage in the outdoor shed. 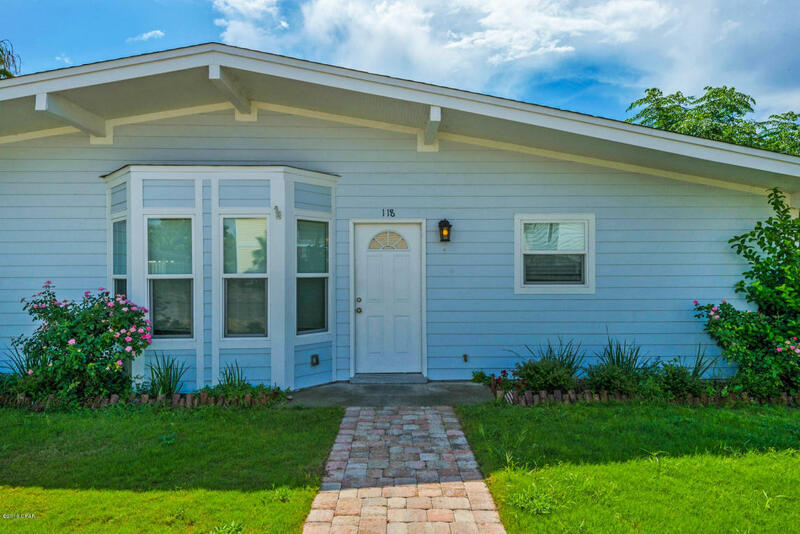 Enjoy this convenient location close to Carousel Market, and a short drive to Pier Park to the East and 30A to the West.